Black caviar was known in Russia long before oil, and may just be more deserving of the term 'black gold.' The history of black caviar is intertwined with wars, religion, commerce and environmental issues. RBTH looks at the history of the delicacy. Black caviar is one of the most famous and expensive delicacies in the world. On average, a 250-gram jar costs $130. But this was not always the case. In the 12th century, Russia had so much caviar that it was affordable for the masses. The Soviet film 'Ivan Vasilievich: Back to the Future,' has a scene that pokes fun at ancient Russia's abundance of caviar. In the scene the Tsar's dining table has plates full of red and black caviar, but a very small quantity of imported eggplant caviar (the least expensive variant today). 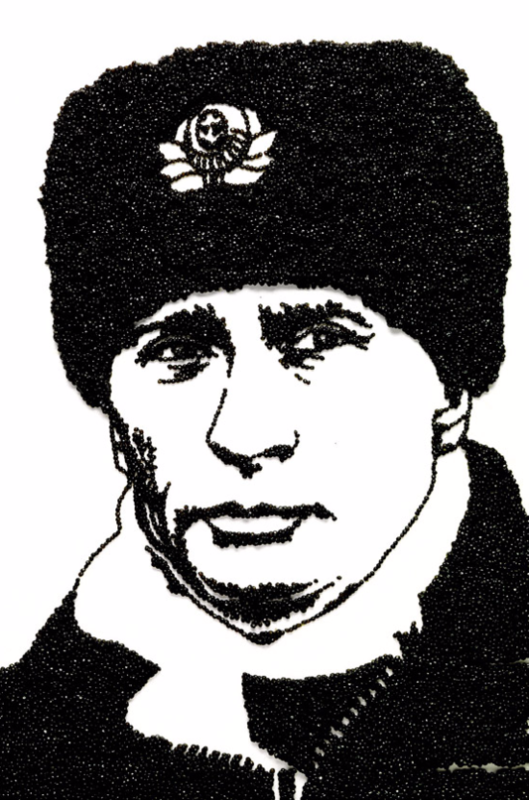 An image of Russian President Vladimir Putin made out of Beluga Caviar by Vik Muniz, 2008. Atlantic sturgeon was once found throughout northern Russia and in all the major rivers of Europe. It is now endangered, and is included in the Red Book of Russia. Historical records show that the Slavs ate caviar in the 8th century. It was mainly Atlantic sturgeon caviar. Sturgeon spines have been found in ancient fireplaces. Archaeologists even discovered sturgeon fossils dating back to the 11th century during excavations near the territory of the Moscow Kremlin. The Kirillo-Belozersky Monastery (Monastery of St. Cyril on the White Lake) is considered to be the first 'industrial' fishing enterprise in Russia. It was founded in the late 14th century on the banks of Lake Siverskoye where sturgeon lived. The authorities gave the lake to the monastery, and the monks proved to be very industrious. In addition to several types of black caviar, the monastery was selling sturgeon, beluga, starry sturgeon (sevruga) and other fish. In the mid 16th century, sturgeon was regularly served to Russian Tsar Ivan IV (Ivan the Terrible). In 1554, Dervish Ali, protégé of the Russian Tsar and grandson of the Khan of the Golden Horde, became the Khan of the Astrakhan Khanate. 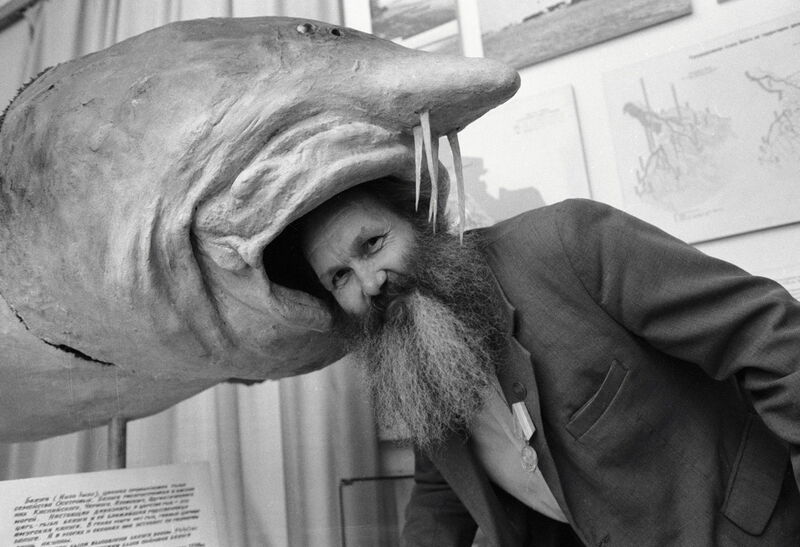 As a tribute for his assistance in an internecine war, Ivan the Terrible ordered the Khan to send him 3,000 large belugas and sturgeon (average weight: 200 kg), both fresh and salted, annually. After the annexation of the Astrakhan and Kazan Khanates in 1556 and 1552, the Volga River Basin was officially absorbed into the Russian realm and Russians were allowed to fish without paying tribute. To an unprepared foreigner, Russian tsars' menus often seemed puzzling. One historical anecdote tells the story of how a Russian tsar sent a Western European counterpart a pound of black caviar and the European monarch, out of ignorance, instructed his cooks to boil it first. In 1676, the first tsar from the Romanov dynasty, Mikhail Fedorovich, established a monopoly on caviar trade with foreigners. The Boyar Duma appointed special merchants from the Great Treasury (equivalent to the Ministry of Finance) for foreign trade and set the monopoly price for black caviar at 3 silver rubles per pood (16.38 kg). 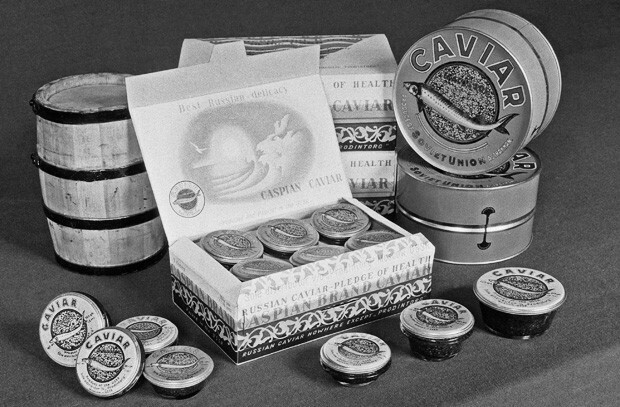 Even at that price, the caviar business generated a profit of 30-40 percent for foreign merchants. "Likewise of Ickary or Cavery, a great quantitie is made upon the river of Volgha out of Ickary the fish called Bellovgina, the Sturgeon, the Severiga & the Sterledey. Wherof the most part is shipped by French and Netherlandish marchants for Italy and Spain, some by English marchants." 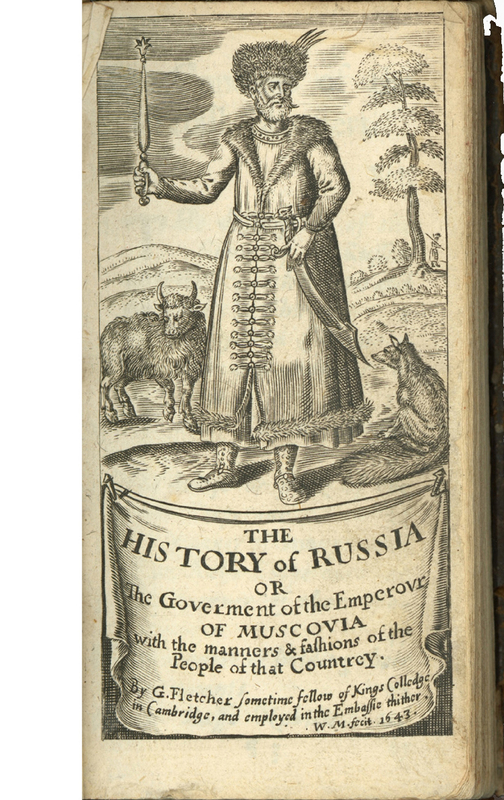 In 1704, in the midst of the Great Northern War against Sweden (1700-1721), Peter the Great introduced a state monopoly on the entire production and trade of fish in Russia. As a result, by the end of his reign, almost 80 percent of caviar was exported, while, according the Senate's decree of March 2, 1725, all export revenues were used to finance the Russian Navy. 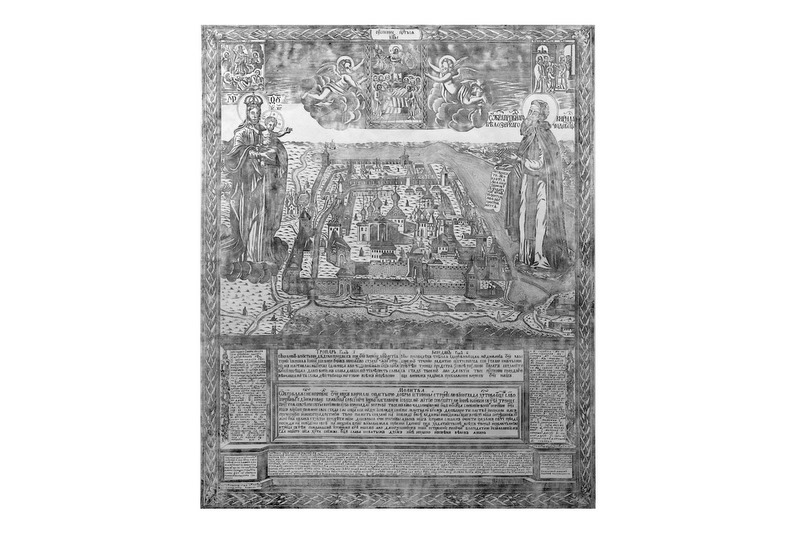 However, under Elizabeth I, the daughter of Peter the Great, the state lost its monopoly until the end of the 19th century, and all the fisheries on the Volga and in Astrakhan were privately owned. Almost 80 percent of caviar was exported in 1725. All export revenues were used to finance the Russian Navy. 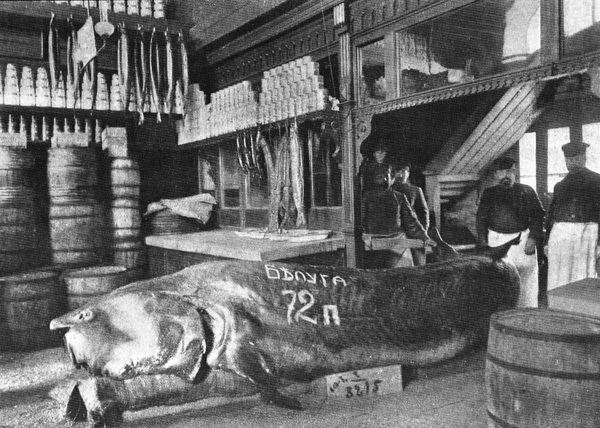 Caught in the Volga Region Beluga (1,152 kg) in a Moscow shop, 1910. In Soviet Russia, on May 3, 1926, a female beluga weighing more than 1 ton was caught in the Caspian Sea. Nearly 190 kg of black caviar was removed. Today, the price of such a large quantity of caviar would be $113,503. The largest documented beluga in Russian history was caught in the Volga in the Astrakhan region in 1827. It weighed 1.5 tons. Depending on the method of processing, caviar is divided into whole-grain, pressed and yastik. Yastik, the cheapest and most affordable, is made without separating eggs from the membrane (yastik). Pressed caviar is made from a mixture of starry sturgeon and sturgeon caviar. Whole-grain caviar, the most expensive caviar is made from ripe sturgeon roe. "The quality of farmed caviar depends on a few factors such as fish feed, the type of farm that produced the caviar – open water farm or closed one, and the breeding techniques", Alex Tyutin, Director of a caviar farm in Thailand, told RBTH. In 1913, the best whole-grain beluga caviar in the Russian empire cost 3 rubles and 20 kopecks per kg. The price of pressed caviar ranged from 80 kopecks to 1.80 rubles per kg, depending on the variety and the quality. At that time, a loaf of brown bread cost 3-4 kopecks at that time. In today's terms, 1 kg of pressed caviar of good quality could be purchased for $27.54 (2,100 rubles at the exchange rate of February 17). Since the days of the USSR, the caviar of each species is packed in jars with lids of a certain color. The most expensive beluga caviar is packed in jars with a blue lid, a yellow lid represents sturgeon caviar, and a red one stands for starry sturgeon caviar. In Russia, sturgeon caviar is classified by the type of fish from which it was taken. Foreign experts also use DNA to classify caviar by the age of the fish, its genetic and territorial origin. In the beginning of the 20th century, Russian fishermen caught up to 40,000 tons of sturgeon annually in the Caspian Sea and the Volga, which, according to some specialists, was the peak sturgeon catch. 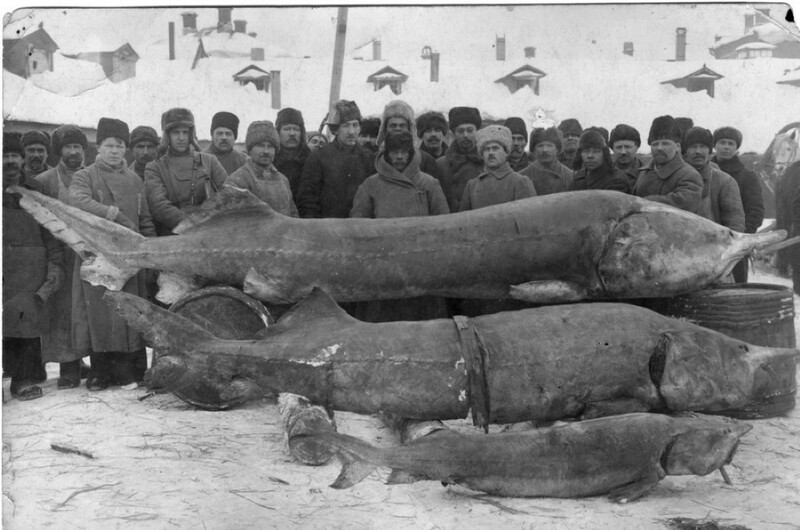 During World War I and the Russian Civil War (1917-1923), sturgeon fishing declined sharply, leading to a slight increase in fish populations. In 1938, the USSR imposed limits on sturgeon fishing for the conservation of valuable fish species. But in 1940, the Soviet Union and Iran signed a treaty of commerce and navigation, which allowed Iran to catch sturgeon fish on a par with the Soviet Union. After the war, oil production by both countries began to rise in the Caspian Sea. Contamination of the Volga-Caspian Basin with oil and oil products had a negative effect on the sturgeon population. 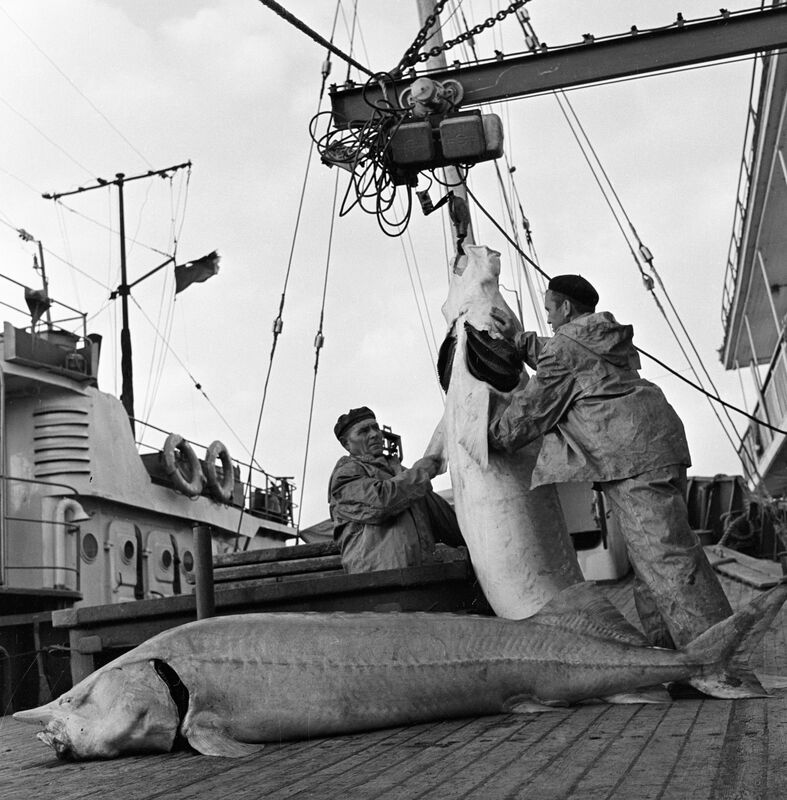 In 1962-1965, the USSR introduced strict measures to control and regulate fishing, so the population of sturgeon in the Volga and the Caspian Sea increased significantly by the 1970s. After the collapse of the Soviet Union in 1991, the Caspian coast was divided between Russia, Kazakhstan, Azerbaijan, Turkmenistan and Iran. Since 1998, international trade in sturgeon is regulated under the Convention on International Trade in Endangered Species of Wild Fauna and Flora (CITES). Russia owns less than a third of the Caspian Sea coastline once owned by the USSR. 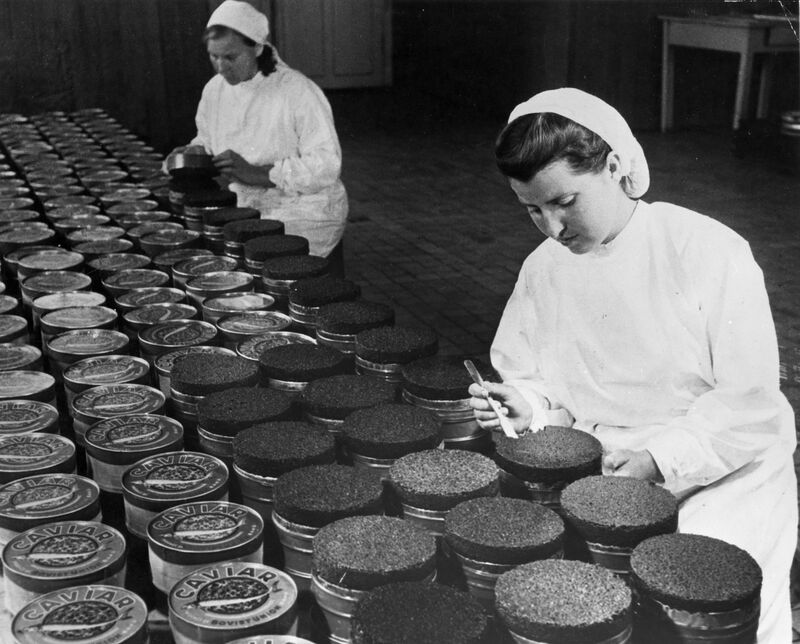 In 2000, Russia produced only 40 tons of caviar – 34 times less than the USSR did in 1990. In 2010, Russia exported 10 tons of caviar, which is 14 times less than the Soviet Union did in 1989. The cheapest fake caviar is made from kelp (an edible brown seaweed). This method was invented back in the Soviet era. To save the sturgeon, caviar is produced in fish farms, where after the extraction of caviar, the fish does not die, but returns to the flock. In addition to the Caspian states, sturgeon aquaculture is now well developed in Israel, Thailand, China, Japan, the United Arab Emirates and other countries, where sturgeon fingerlings were brought to from Russia. Caviar extracted from the fish after a cycle spent in the winter simulation room is delicious. It does not have an unpleasant smell, is not too oily and has a good balance of ingredients like wild sturgeon, which produce caviar in spring after a long winter. In 2014, the Russian government adopted a program for the development of sturgeon fishing industry until 2020, allocating 5 billion rubles ($70.3 million according to the exchange rate for March 14). "In early 2013, about 80 percent of the total consumption of caviar in Russia accounted for poached caviar," Andrei Moiseyev, coordinator of the WWF Sustainable Marine Fisheries program in Russia, told RBTH. In 2013, the Russian criminal law on poaching, which called for three to seven years in prison, was expanded to punish not only illegal production, but also transportation, selling, possession and purchase of illegal black caviar and sturgeon. 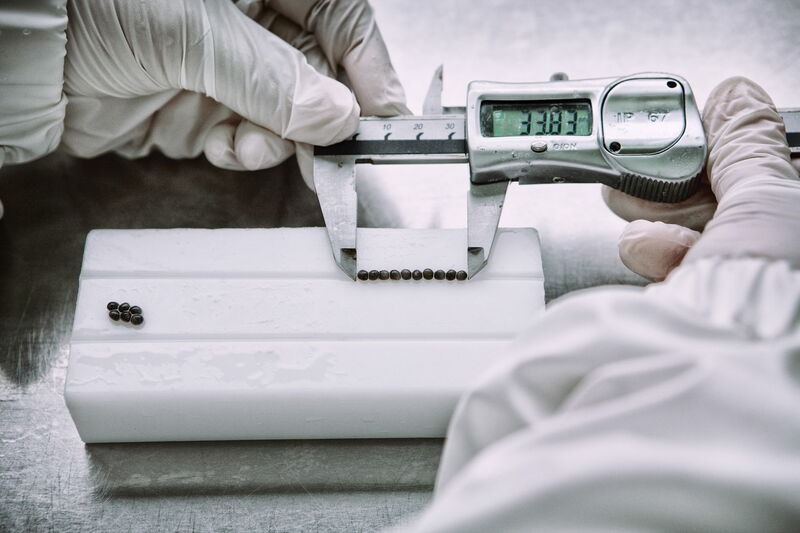 Currently, the Russian Union of Sturgeon Breeders in cooperation with state authorities is working on the product traceability, to be able to trace the path of legal caviar at any stage. The main legal product in Russia is the caviar of farmed Siberian sturgeon. As per the latest Russian Customs regulations, a person leaving Russia is only allowed to carry 250 grams of black caviar. Edited by Gleb Fedorov, Ajay Kamalakaran. Image credits: Vostok photo, Press Photo, Flickr/THOR, Wikipedia. Photo edited by Andrey Zaitsev, Nikolay Korolev. Design and layout by Daria Strelavina. © 2016 All Rights Reserved. Russia Beyond The Headlines.